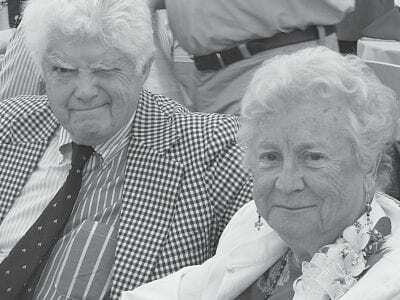 David and Marilyn Bruen are guests of honor at St. Lawrence O’Toole’s 20th annual golf outing. Putnam’s first County Executive David Bruen was the guest of honor at the St. Lawrence O’Toole Church’s 20th annual golf out… Please login below or purchase a subscription to the Putnam County Courier to access this content. Sunday promises to be quite a day in the Village of Brewster. The community’s 19th annual Founders Day Main Street Fair takes place—a celebration that offers something for everyone. Mark Buzzetto, president of the Coalition for a Be… Please login below or purchase a subscription to the Putnam County Courier to access this content. During Founders Day 2010, the community of Brewster will be honoring one of their native son’s on what would have been his 96th birthday. Cecil Austen Bolam was Brewster’s first Eagle Scout. He rose thru the ranks to command Brewster&rs… Please login below or purchase a subscription to the Putnam County Courier to access this content. Once again the Carmel Rotary Club and Shoprite of Carmel will join forces. On Saturday, October 2, and Sunday, October 3, from 9am to 6pm, they will endeavor to help those in our community who are having a difficult time providing sufficient food f… Please login below or purchase a subscription to the Putnam County Courier to access this content. Carmel will be taking on the aura of Cooperstown Saturday when Hall of Fame Day is celebrated at Carmel High School. Nine recipients will be inducted into the CHS Hall of Fame, including Fred Kemp who graduated in 1966; Nick DeBellis and Monika S… Please login below or purchase a subscription to the Putnam County Courier to access this content. 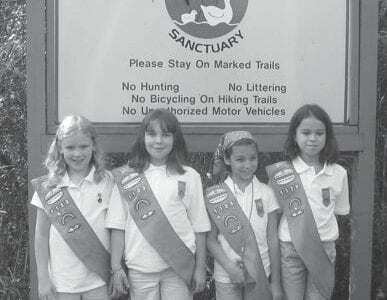 On Saturday Sept. 25, my troop of 4 girls, Victoria Coffey, Juliana Newlun, Jordan Krinsky, and Katharine Bogen all age 9 and from Carmel, went to Fred Dill Sanctuary and Outdoor Education Center to clean the trails of garbage. We did this … Please login below or purchase a subscription to the Putnam County Courier to access this content. County executive candidates State Senator Vincent Leibell (R) and Legislator Mary Ellen Odell (I) agree with the majority of Putnam citizens: Consolidation of departments and governments within the county is a good tax dollar-saving strategy. In a p… Please login below or purchase a subscription to the Putnam County Courier to access this content. Plans for a new senior center in Kent are apparently dead. The Putnam Legislature discussed the project in great detail at its special meeting last week before deciding that it was not in the county’s best financial interest to continue wit… Please login below or purchase a subscription to the Putnam County Courier to access this content.